If there's one setting that I love, and would like to see a lot more of, it's the fantasy Middle East. With 1001 Arabian Nights being overwhelmingly influential in this setting, when you think of a fantasy Middle East, you're probably thinking of harems and beautiful women in decadent clothing, flashy fights between scimitar-wielding heroes, deserts, the occasional oasis, and genies, magic lamps and magic carpets. The fantasy Middle East is decadent, opulent, beautiful and dangerous. You'd think that would make it perfect for video games, but I suspect the political environment has soured game developers from working on things that look too much like "Arabia." But, there are nonetheless some really great games that make good use of the fantasy Middle East setting. Which is what we're looking at this week! If there are any games that you particularly like that make use of this setting, be sure to let us known in the comments! Let’s start with the most obvious one, shall we? Prince of Persia: Sands of Time, as the best Prince of Persia game, is obviously and overtly set in a fantasy Middle East (it’s right there in the title), and features many of the elements that I love about the setting; the characters are gorgeous, the environments exotic, and the combat is a flash, elegant dance. It saddens me that Ubisoft has all but lost interest in this franchise, now that it focuses on the Assassin’s Creed series, because as far as I’m concerned there’s still so much that could be done in this world. 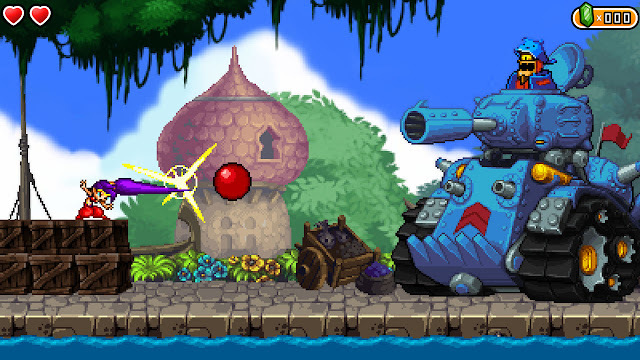 Shantae is light hearted and very traditional in its visualisation of classic Middle Eastern fantasy. Shantae herself has genie blood in her, wears a harem costume, and bellydances. The music makes heavy use of the kind of soundscapes we expect from our fantasy Middle East, and there are plenty of environments and enemies that fit in with the setting perfect. And so, while it plays the setting heavily for humour, it’s also one of the more authentic takes on the fantasy Middle East out there (especially among game franchises that are in active development). One of the more obscure settings for Dungeons & Dragons is the Al-Qadim setting, at a time when TSR (prior to its acquisition by Wizards of the Coast) was experimenting with a lot of different settings. Among the horror and high fantasy settings, Al-Qadim really stood out for being a pure 1001 Arabian Nights setting, complete with shifting sand deserts, magic and wonder and the occasional oasis for relief. 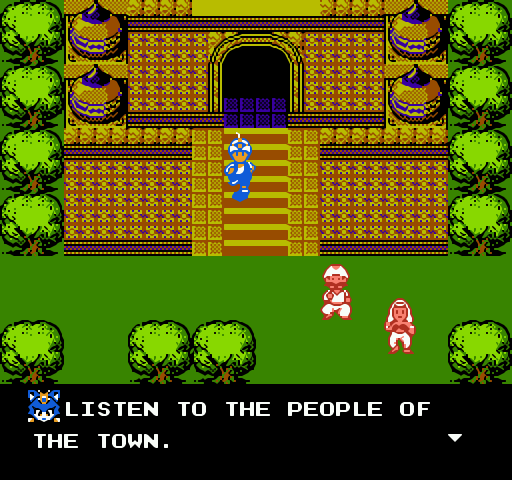 The sole videogame based on this setting was closer to Zelda than Dungeons & Dragons, but it does a wonderful job in capturing the exotic tone and fantasy of the setting. 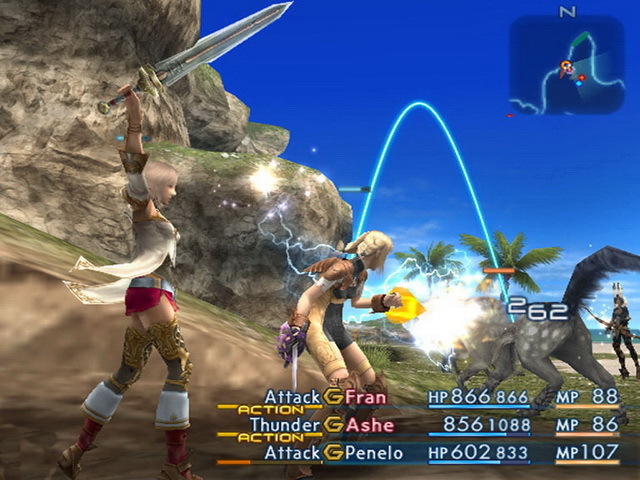 I’ve always felt that more JRPGs would do well to be set in a fantasy Middle East setting. Usually a JRPG will have a quest or city located in a Middle East-like area, but it will be transitionary part of the game. There’s something to say about a sustained narrative – we saw in I am Setsuna the emotional impact that an entire game set in a frozen, wintery world could have. 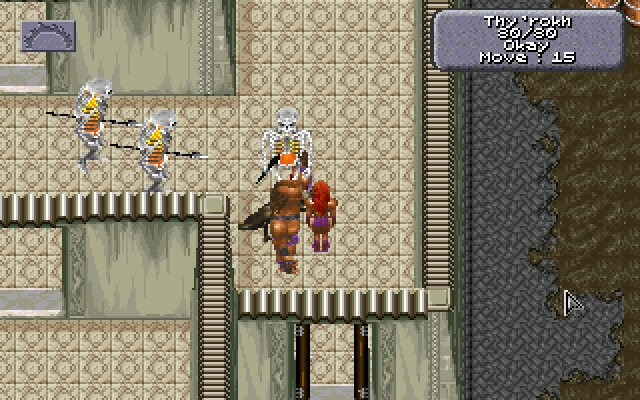 Defenders of Oasis is a far more primitive game, but it makes a good case for having an entire JRPG set in a fantasy Middle East, rather than just one section of a broader game. This one’s something of the black sheep on the list, because it’s not explicitly set in a fantasy Middle East, but it is heavily (heavily) inspired by the architecture, colour, and cultures of the stories of this setting, and I find it to be a fairly accurate take on the exoticism of that setting, crossed with the more traditional Final Fantasy elements. With a HD remake of this one on the way eventually, it will be the perfect opportunity to re-experience one of the most deeply underrated and distinctive games in the entire series. 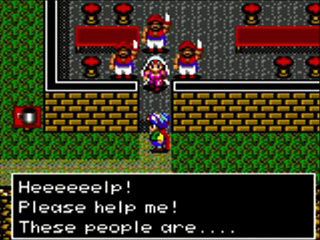 Magic Carpet might have been the first game that really got me hooked on the fantasy Middle East aesthetic. I know that sounds silly given how overwhelmingly simple the game looks by today’s standards, but as a youngster, flying around on a magic carpet, building up a fortress, and engaging in magic warfare with rival wizards was just so incredibly addictive. The game had a real sense for the mystery and fantastic that is intrinsic to the 1001 Arabian Nights setting, too, with magic portals, magic traps, and precious urns holding powerful new spells in each and every level. You could argue that Dark Sun holds a closer resemblance to fantasy Aztec or Inca culture, but there’s enough in there to also suggest the Middle East – especially with the heavy influence of genies, and the scarcity of water and other natural resources. Dark Sun is a dark, brutal, violent kind of fantasy, but at the same time there is a beauty and majesty in the hostility that makes for some remarkably effective fantasy storytelling, too. It helps that, well before Baldur’s Gate, Wake of the Ravager was an incredible example of non-linear storytelling and player agency. 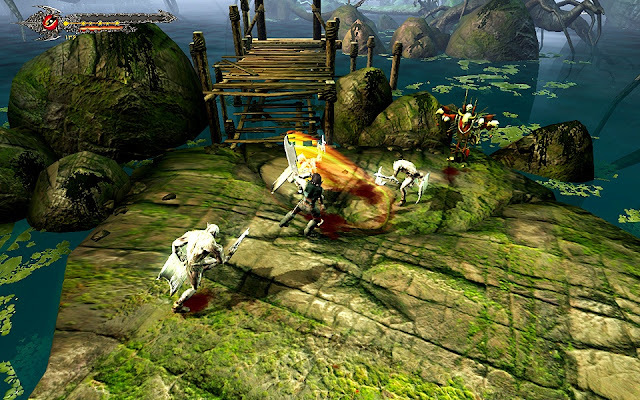 It’s easy to dismiss Gashasp as a clone of God of War, and it certainly plays like one. But then you start digging into the thematic drivers behind Gashasp, and it becomes a much more compelling experience. Gashasp was a Persian hero, in a similar manner to the likes of Beowulf, and his story is every bit as thrilling and powerful as that, more famous (in the west) epic. The game itself remains very true to the setting, too, which over the longer term actually helps distinguish it completely from God of War… and for the better, too. One of the oldest games you could play about a fantasy Middle East, The Magic of Scheherazade struggles to really capture the vivid colours and setting of fantasy Middle East. But it tries, and it’s a real curiosity that’s worth checking out today. Back in those days it was difficult to do settings at all that weren’t “generic,” and the fact that, with a bit of imagination, it was possible to place yourself in an exotic setting made this one really quite appealing. This RPG is a little different in that it’s not actually based in the Middle East, per se, but rather India, but there’s some cultural crossover, and the game certainly succeeds in being the kind of magical, vivid, colourful, exotic setting that the other games on this list also are. 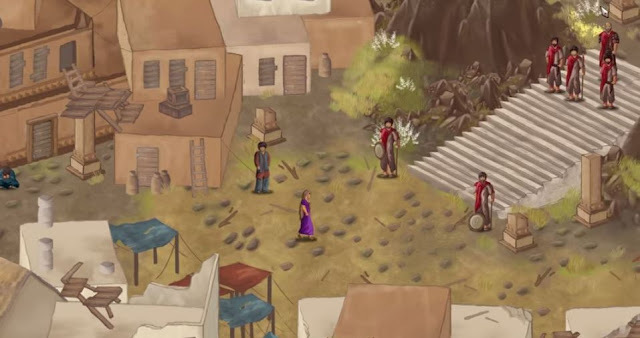 Unrest is also a highly interesting game because it is an RPG with no combat whatsoever. Rather it gets on with telling a cracking story and is the better for it.